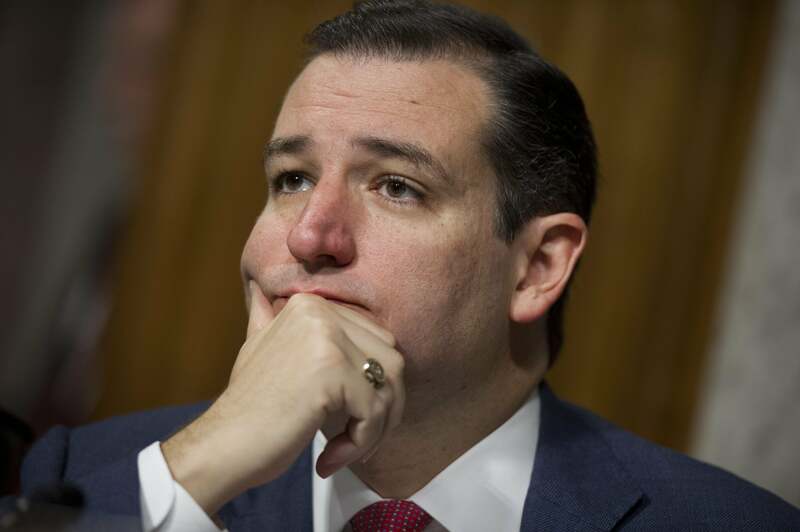 Ted Cruz says he will "do anything" to stop Obamacare, doesn't actually do anything. Helping the do-nothing Congress live up to its name. After the government shutdown ended, when Republicans would even leave the garden of anonymity to trash Ted Cruz for putting them in an awkward position, the Texas senator insisted that he would fight on. “I would do anything, and I will continue to do anything I can, to stop the train wreck that is Obamacare,” Cruz told ABC News three months ago. What did “anything” mean? Presumably, it meant “anything.” Pundits asked whether Cruz would throw another cluster bomb when the omnibus spending bill came up. The Wall Street Journal’s Neil King interviewed Cruz less than two weeks ago; the senator did nothing to wave off speculation. Republicans must use “every leverage point available” to uproot the law, he said in a 45-minute discussion in which he mentioned Obamacare more than 40 times… Mr. Cruz said opportunities to scale back the law will come with a spending bill to fund federal agencies, which must be approved by Jan. 15. Coming out of a party luncheon, Cruz’s colleagues said he was insistent on demanding a vote on this amendment, even if it meant delaying passage. But ultimately the Texan changed his tone. Instead he used a speech on the floor to highlight his complaints about the president’s program and then politely left after Appropriations Chairwoman Barbara Mikulski (D-Md.) objected to his requests. Right—he’s got to say he’ll fight till the last dog dies, but he’s not actually going to do it. Doing so would be bad strategy! Cruz can’t admit it, but the shutdown and the way it was covered have gotten every Republican on board with the plan to pass bills in 2014, win the midterms, and then attack Obamacare from a position of strength. The omibus cut the promotional fund for the ACA by $1 billion; that’s about as good as Republicans can do until they get 51 Senate seats and force the president to veto their Obamacare-repealing budgets.